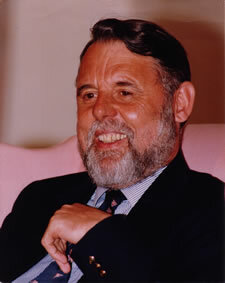 Terry Waite, a noted humanitarian, hostage negotiator, and bestselling author, served as the keynote speaker for NSU's 2012 Undergraduate Commencement Exercises. Waite garnered international recognition in the 1980s when, as a special envoy to the Archbishop of Canterbury, he successfully negotiated the release of hostages in Iran and then Libya. In 1987, while negotiating the release of hostages in Beirut, Waite was himself taken hostage and held in captivity for 1,763 days (four years of which were in solitary confinement). Somehow Waite was able to return home harboring no resentment towards his captors. In 2005, he made headlines by returning to Lebanon for the first time since his release to visit refugee camps and research the effects of war on the young. Since September 11, he has been called upon by CNN, the BBC, Sky News and other news media to share his views on Islamic fundamentalism, the treatment of prisoners in Guantanamo Bay, and the best way to negotiate with hostage-takers in Iraq and elsewhere. Waite is also a regular commentator on current affairs and a frequent contributor of articles for British newspapers and journals. He is the cofounder of Hostage UK, which advises families and companies about the global risks of hostage-taking. Waite now devotes most of his time to intercultural relations, conflict resolution, and humanitarian causes around the world. He is the president of Emmaus UK (Homeless), as well as founder and president of Y Care International and the U.K. Ambassador for the Lifeline Energy Foundation. He has been awarded doctorates from leading universities around the world. Each year, the Farquhar College of Arts and Sciences organizes its academic programming around an annual theme. Waite was the last of the distinguished speakers for the year to address the annual theme of "Truth and Power." Read his keynote speech remarks on this subject by clicking on this link.